When we say Nano we are referring to an atomic scale, the size of an atom. So when we are dealing with GANS we are talking about another state of matter at the scale of atoms. It is the first variation of manifestation in this experience we call “reality”. The atom is the first creation in this field strength environment we call matter, and everything originates from it. Most of us grew up with the innerstanding of the different states of matter. We know that solids are hard, liquids are wet and gasses are vapors that look like mist in the air. What we are dealing with here are different densities of the same matter. We will start with the atom of a solid object. The A with the circle will represent the atom. The red circle around it will represent its gravitational field which is pulling other atoms towards it. 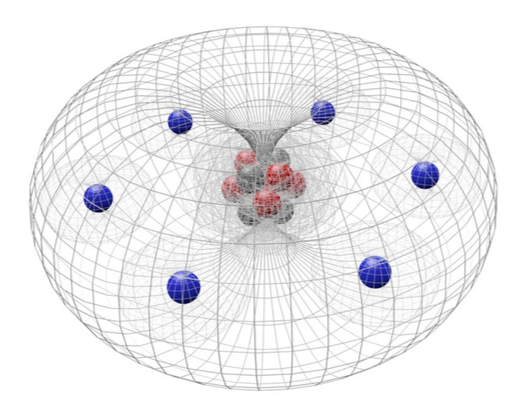 The blue circle will represent its magnetical field in relation to other atoms and pushes them away. Gravitational will always be stronger than the magnetical. When we look at the atoms of a solid object, we will see that they have a strong gravitational relationship to one another with a low magnetical relationship. This in turn causes the atoms to be tightly packed and creates the density that we would consider a solid. Remember, the image below is what is really there. Our mind is interpreting what this solid object should feel like by checking our memory of previous interactions with similar fields. From there the mind projects what the object should feel like. It is the interpretation. Has anyone ever ask you put your hand in a bowl of peeled grapes and tell you that you were touching eye balls? This is a very common Halloween gag. The fields that form our fingers are interacting with the fields that form the grapes and it is comparing it to other similar frequencies to make a determination as to what it is we are touching. When someone mentions they are eye balls we immediately start creating an image in our mind of what it would feel like to touch eyeballs. We compare what we imagined with what we are touching and immediately we believe we are touching eye balls. 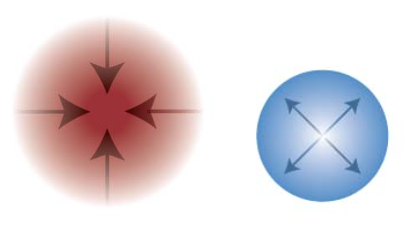 As we start to apply heat we notice that the magnetical relationship between the atoms starts to increase. As this happens, the atoms will start to space out and the molecules they form will become fluidic. Look at water for instance. You can move your hand through it with little resistance yet it all still feels like it is all connected. Another way to experience this feeling is by taking two magnets of the same polarity and pushing them together. Once they start pushing away from each other, apply and release pressure and notice how it feels. 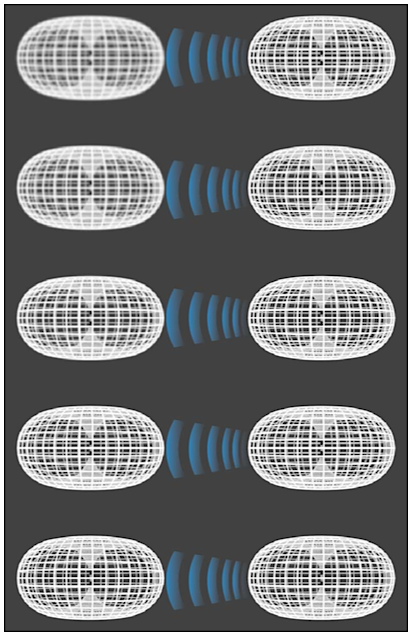 This is what the atoms are doing however, because the gravitational fields are stronger than the magnetical, all of the atoms are still being held together. From the perspective of MAGRAV fields, we can easily start to see the space in between the fields. The space allows room for movement between the fields. Another thing to note, since these fields are always trying to find balance with one another they will all turn in relation to one another like the gears on a clock. As we continue to apply heat the magnetical relationship of the atoms increases, and the liquid starts to separate further to become a gas. Here we can see the relationship through MAGRAV fields. We have now gone from tightly packed atoms making up a solid to loosely packed atoms making up a liquid. After that we went from a liquid to groups of packed atoms called a gas. So what is next? With the application of a strong caustic/alkali we can make the atoms separate from one another into their individual components and we capture the result as a nano material. Now we have GANS, gas at a Nano state. It is the individual atomic structure of the original elements that are now radiating energy like miniature suns in the form of vibrations. It is the closest thing to source energy in our existence. The wonderful dichotomy of this story is that when we create GANS, we create it from Nano particles. Nano particles are the atomic elements' last stop on their life cycle. It is the charred remains of what it used to be. In essence, when we create GANS we are creating life. We are taking the charred remains of an element and then breathing new life into it. If we look at this from the perspective of music we can use the example of a musical note. For the most part, many of us can tell when someone is singing out of key. This would represent an imbalance in someone’s field. Now if someone is singing out of key and they are not aware of it, how do we correct them? We provide them a reference. We can play the note that the singer should be singing by pressing a key on the piano. The singer then has a reference of where they should be singing and can adjust their voice to match. This is what GANS is. GANS represents the perfect tune of that element, the reference note. It is the essence of spirit in its perfect balance. 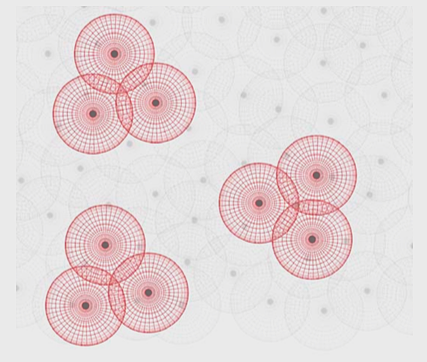 When we create CO2 GANS we are creating little energy orbs that have perfectly balanced fields of Carbon and Oxygen. 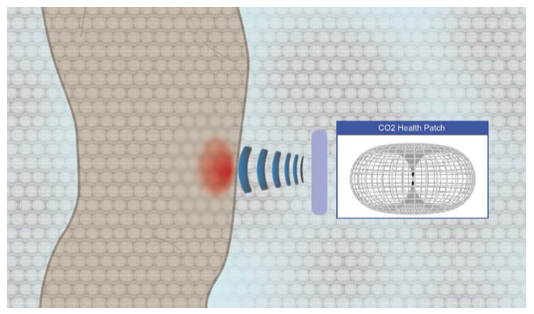 You can also use the fields to balance other similar fields as per the CO2 health pads. Below we can see an imbalanced field on the left column and the field of GANS on the right. The GANS is raising the vibration of the fields on the left column to match it. From here we will now need a way to transmit this GANS. If GANS is an energy source, we need a way to amplify, transmit and deliver that energy to its destination. One way is by using Nano coated wires. For a further article on nano particles click here.